I would imagine if you were one of a mere 297 souls living on a tiny island group whose main and probably only claim to fame is that it is the most remote inhabited archipelago in the world, being some 2000km from the nearest land, you might occasionally feel somewhat isolated. To compound the feeling of detachment your home is part of an overseas dependency of the UK where the other two island groups in that territory are a telescope-defying 2430km and 3730km to your north! 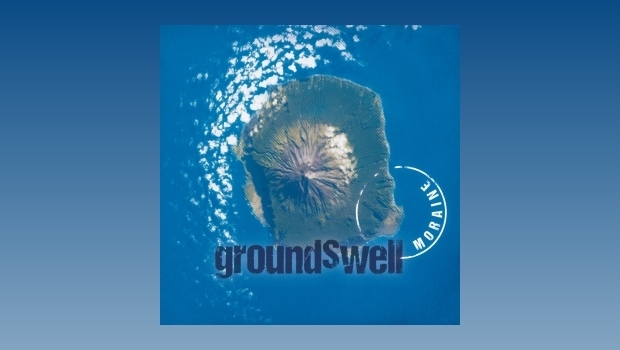 Is Dennis Rea, leader of Seattle-based Moraine trying to tell us something by having an aerial view of Tristan de Cunha*, the southern Atlantic island outpost of my speculations as the cover picture on his band’s new album? One can only guess! It may seem to Dennis and his bandmates that they are making music in a bubble that few others will hear, but hey, this is the internet; let’s start spreading the word right now! Moraine are a rock group (not a group of rocks) based in Seattle. They merge elements of jazz and world music into their rock tapestry, and sometimes folk and rock into their jazz tapestry, and all other permutations, peppered with the occasional dash of avant wilfulness. Whichever combination applies, they make for a powerful and organic sound that is, intentionally or not, determinedly iconoclastic, and singular in its vision. They are one of those bands who make the music that they like playing, and if anyone out there in the wide world taps a toe in agreement, all well and good, that’s a bonus. With one studio and one live album to their name over the course of the five years prior to Groundswell, Moraine are an occasional project, but when they get together they certainly come up with the goods. This is in no small part down to the mostly stable line up of players who know each other’s musical temperaments inside out. This allows for the semi-improvised sections to flow in a natural manner. As an example, look no further than the short solo sections on Synecdoche, which contrast nicely with solid ensemble playing, a feature of the album. Locked into a groove on Synecdoche, which naturally enough is a figure of speech where a part of something refers to the whole, or vice-versa, the instrumentation tightly weaves together but leaving enough oxygen between the strands for Dennis to offer up a short solo of fast and furious notes, aided by his “electronic interventions”. Following up is a deep-down’n’heavy baritone sax blast from James DeJoie. 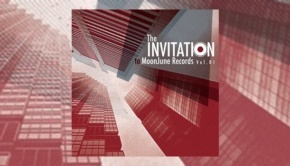 The whole is a modern take on jazz rock that will delight any fan of the genre. Back to the beginning, and Mustardseed sets the scene in a manner not dissimilar to a New Orleans funeral dirge, before becoming faster, more disjointed, and eventually lurching to a loose-limbed sprawling climax. Jitterbug dancing beats skitter their way through Skein, a tune progressing in a straight if unconventional line featuring syncopated sax and arpeggio guitar, and drumming with as light a touch as possible, all supporting some crashing chords from Dennis on the way out. In the past, Dennis has spent some time living and working in China and Taiwan, a fascinating story in its own right, and the first appearance of Chinese scales comes with Fountain of Euthanasia, which despite its fearsome title is a lovely tune, made all the more thoughtful by Alicia DeJoie’s lead violin. All in charming contrast to the two more upbeat tracks that preceded it. The funkiest of riffs from Dennis, copied both by James DeJoie’s dirty baritone sax and Alicia’s violin introduces Gnashville, a tune that turns more insistent by the minute, Dennis chucking in some mean’n’nasty bottleneck geetar for good measure. Gnashville rides along on a rhythm section locked into the groove tight-as-a-nut, and if this does not get your limbs twitching not much will. The collective appetite for improvisation is let loose and then some on Waylaid, a truly Kosmische piece and probably the most strung out I’ve heard the band to date – and it’s utterly compelling. Often on the album, the melody line is laid down by Alicia DeJoie’s violin, and on Waylaid she provides the launching pad from which the rest of the band flies off at surreal tangents, only to be brought back to base by the return of her melody. Using his knowledge of Chinese music, Dennis again uses exotic eastern musical scales over a sinuous bass line for the mysterious Spiritual Gatecrasher, a tune that is alternately heavy and playful. Drummer Tom Zgonc’s simpatico playing along with bassist Kevin Millard anchors the more fanciful flights taken by James’ flute and Dennis’ guitar later in the tune. There is more of the Chinese influence to be heard in album closer The Okanogan Lobe, which uses an eastern melody which by turns takes us down jazz-rock and folk-tinged routes, with the sax and violin respectively leading the way before coming together for the coda, climaxing with a triumphant and melodic burst from Dennis. There is nothing terminal about this Moraine, and with Groundswell they have given us an album’s worth of confident and assured progressive jazz-rock for the 21st century. *Footnote – I love the fact that the island’s capital, a tiny assemblage of dwellings clinging determinedly to the shoreline is romantically listed as “Edinburgh of the Seven Seas”, but the locals in the typical down-to-earth manner of seasoned frontier folk know it simply as “The Settlement”.